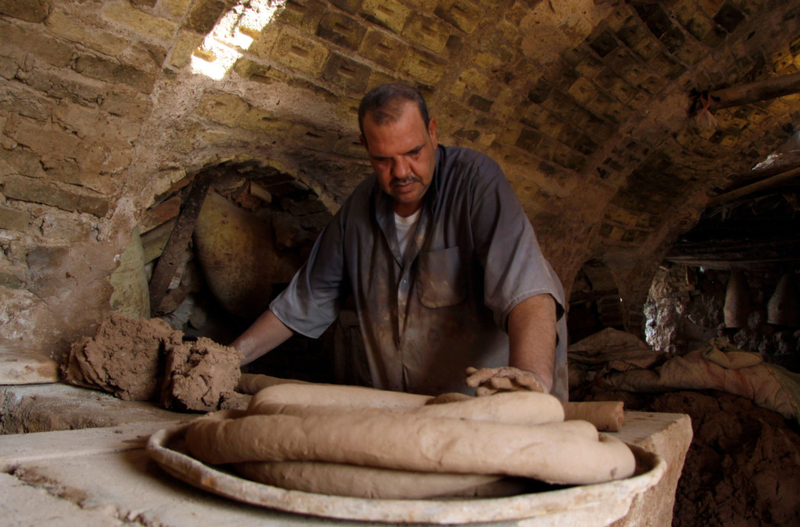 Najaf: Adel Al Kawwaz expertly spins the potter’s wheel, shaping the wet clay into a smooth jug. His family is famous for this millennia-old Iraqi craft, but Kawwaz is struggling to keep it alive. 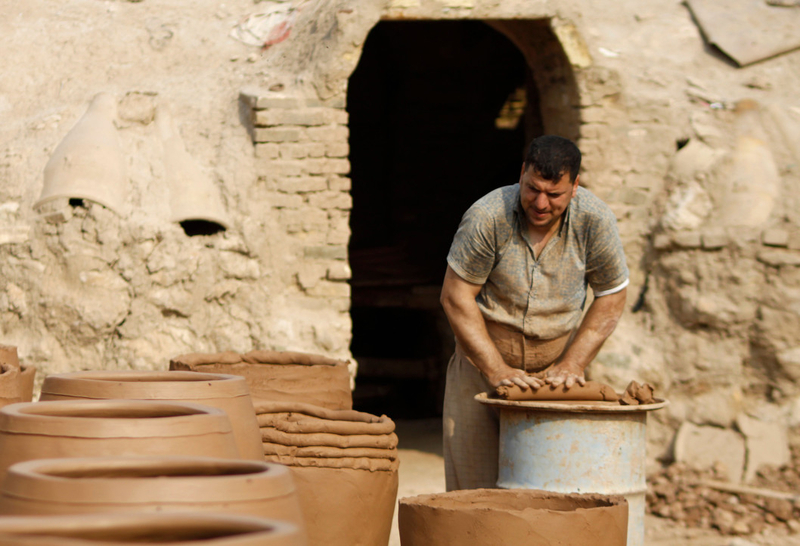 Kawwaz’s own family drew their name from the jug, or “kawz” in Arabic, which they have produced for more than 200 years from clay found at a lake by Najaf, a holy Shiite Muslim city. 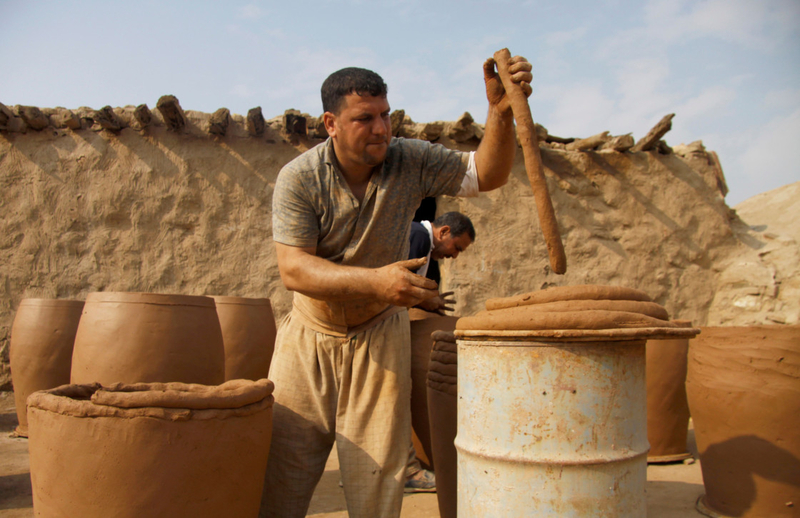 “Making clay vases is a craft that my family had become famous for,” says 45-year-old Kawwaz wistfully. 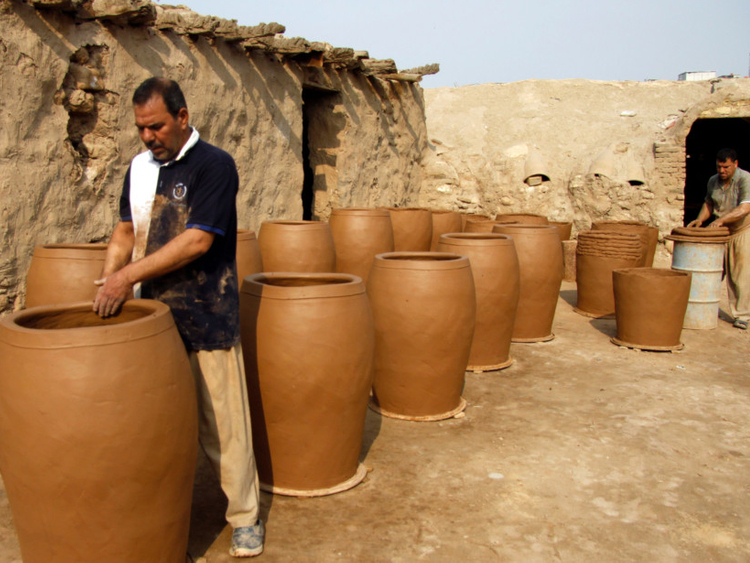 His family’s jugs were shaped from Najaf mud, dried in the shade, then baked at high temperatures for no less than 15 hours. “These vases were used to keep water cool or preserve food. They were placed in the shade or hung in another high location,” he says. 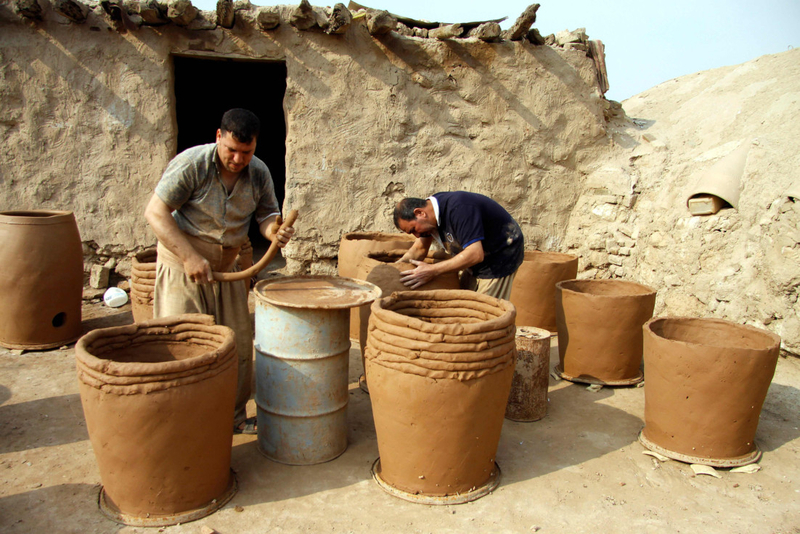 “Those that practiced pottery would make a lot of money because they were common items in ancient Iraqi households,” says Kawwaz. They were surprisingly handy during the era of Saddam Hussain, when many families struggled financially, as well as in the 1990s, when international sanctions hit Iraq. “The income of most families did not allow them to buy a refrigerator or freezer to keep their water cold, so most used clay cauldrons,” he says. 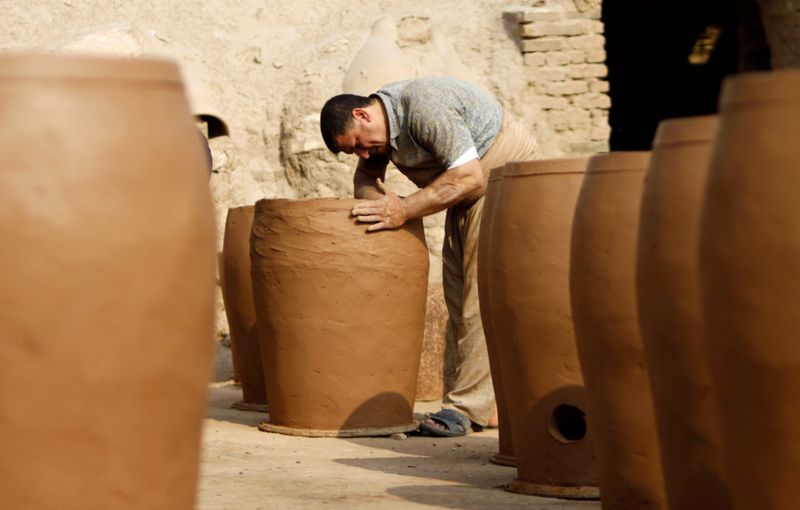 “We sell very few now - the numbers in an entire year don’t hit 100 or 200 jugs,” says Kawwaz. 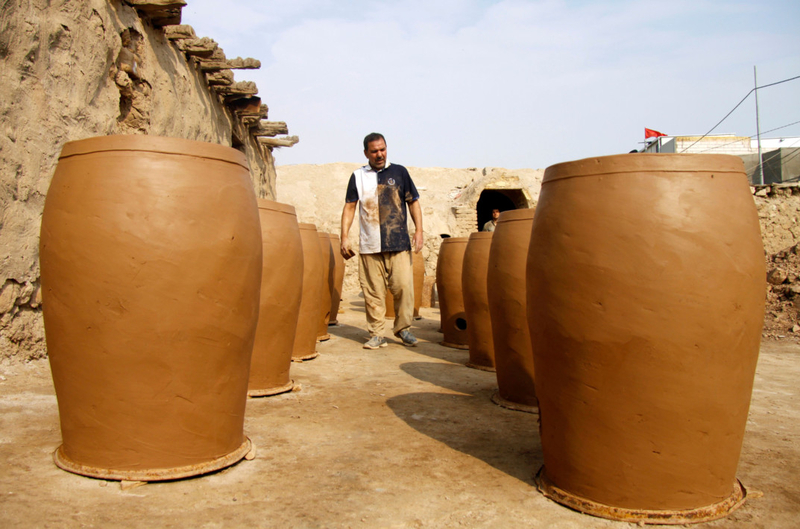 “They buy plastic bags imported from China, so now we rarely sell clay pots,” says Kawwaz in his studio, itself made of mud and covered in palm leaves. He makes the vases by special request only, but admits it’s hardly worth it. “The taste of bread made in a traditional oven is so different from bread baked in an electric or gas oven,” says Um Haydar, as the searing oven near her radiates an enticing smell. Like her mother and grandmother before her, she has stuck to tradition when it comes to the clay oven, with one exception - she didn’t build it herself. “To the clay, you have to add reeds, red sand, and synthetic wool fibres. 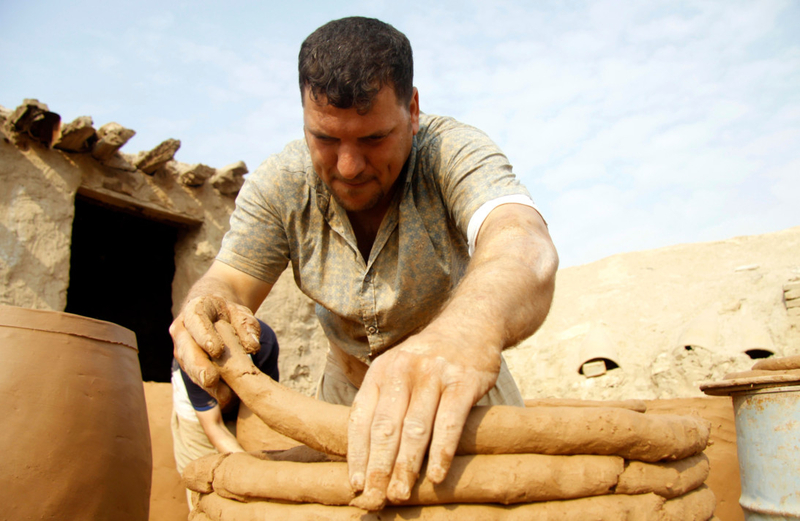 You let the mixture rest for two days so the clay becomes compact,” he explains to AFP. “Even if we sell less, even if the craftsmen are fewer and fewer, we’re fighting to keep the artisanal heritage of our fathers and grandfathers alive,” he says. “And of course, there are still Iraqis who only eat good bread,” he says with a wink.